In the third and final Test match of the series, New Zealand trounced Pakistan by 123 runs to secure the series 2-1. This is their first series win over Pakistan (away from home) since 1969. This is also their first test series win in Asia in the last 34 years. The scoreline was 1-1 before the start of this match, and winning this game would have resulted in a series win. New Zealand skipper Kane Williamson won the toss and opted to bat first. The visitors managed to post 286 on the board with the help of Williamson's 86 and Watling's unbeaten 77. In reply, Pakistan were cruising at 286 for 3 at one point, thanks to a double century partnership between Azhar Ali and Asad Shafiq. But a series of poor strokes saw them collapse to 348 all out. Still, they were leading by 74 runs. Williamson then led the team once again and scored a beautiful knock of 139. He was well-supported by Henry Nicholls who also struck a brilliant century. New Zealand declared on 353/7, which meant the hosts had a target of 280 to chase down. With a challenging target ahead of them, the Pakistani batsmen started poorly and were reduced to 55 for 5. Babar Azam showed some resistance with his 51 but it was never going to be enough. Pakistan got bowled out for 156 and New Zealand won the match by 123 runs. 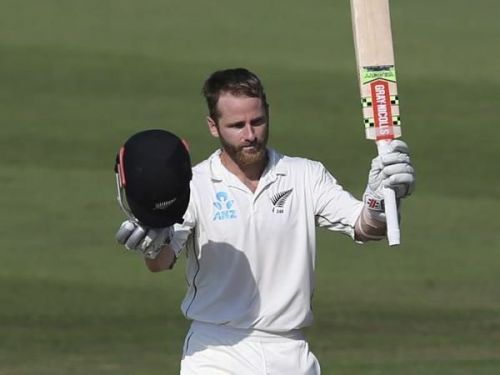 Kane Williamson scripted a historical win for New Zealand with his brilliant century. 420 - It was the 420th Test match played by Pakistan (Won - 136, Lost - 125, Drawn - 159). 429 - It was 429th Test match played by New Zealand (Won - 94, Lost - 171, Drawn - 164). 100 - No. of fours hit in the match. Williamson hit 20 of them, the highest amongst the batsmen. 5 - No. of sixes hit in the match, Colin de Grandhomme hit 3 of them, the highest amongst the batsmen. 4 - No. of centuries scored in the match (one each by Azhar Ali, Asad Shafiq, Kane Williamson and Henry Nicholls). 3 - No. of half-centuries scored in the match (one each by Kane Williamson, Babar Azam and BJ Watling). 139 - No. of runs scored by Williamson in the 3rd innings of the match, the highest individual score in the match. 212 - No. of runs added by Williamson and Nicholls for the 5th wicket in the 3rd innings of the match, the highest partnership for any wicket in the match. 37 - No. of wickets which fell in the match. 5/65 - Bowling figures of Bilal Asif in the 1st innings of New Zealand, the best by any bowler in the match. Kane Williamson scored his 19th Test hundred in his 68th matches. Henry Nicholls hit his 3rd Test century in his 21st match. Azhar Ali hit his 15th Test hundred in his 70th match. Asad Shafiq scored his 12th Test hundred in 66th match. BJ Watling completed 3000 Test runs in his 57th match. Yasir Shah completed 200 Test wickets in his 33rd match, thus becoming the fastest to reach the milestone. He surpassed Clarrie Grimmett's record of 36 Tests achieved against South Africa in Johannesburg in 1936.